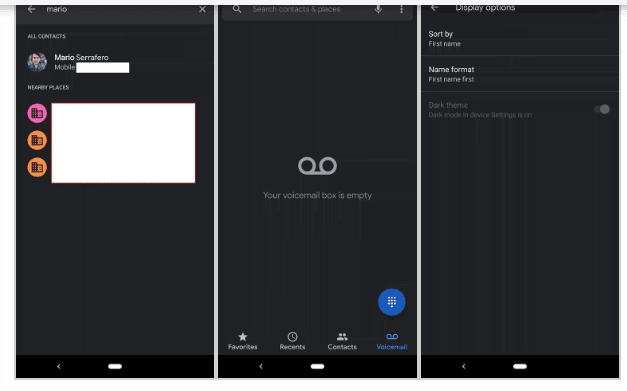 Continuing with their effort to promote better battery performance on Android devices, Google pushed out an update to the Google Phone app that brought a dark theme or ‘night mode‘. However, the new mode is only available on the beta version of the app v26.0.221539659. For users who want to gain access to the beta version, go to the Google Phone app Play Store page and enroll in the beta tester program. Find the option right below “Developer contact.” Likewise, you can download the raw APK file, version 26, of the Google Phone right now from APKMirror.